Here you can see the available payment gateways and manage them. For now, fleio works with the following payment processing gateways: Paypal, Stripe, Romcard or Bank Transfer. If you don’t see all of them it means that you didn’t set them up in the settings.py file. 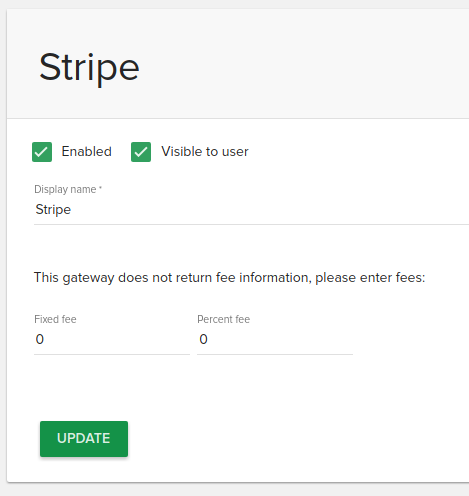 More on that on the Configuring payment gateways page. After you enable a payment gateway from the settings.py file, you need to come back here to activate the feature.